As 2016 came to an end, I found myself evaluating whether I was attending to this blog as I have in the past, and as I should be. I seem to have dwindled to posting only on Mondays every week, and not always looking forward to that. In thinking about it, I suspect it is more of a “no longer enamored with the format” issue than a “not excited to share about books” issue. Therefore, I am going to take a break from blogging to see whether I am more motivated and fulfilled by posting reviews on Goodreads and sharing my thoughts on Facebook and Twitter. I am also taking a stab at Litsy to see if I like it. I will most likely reevaluate at the end of February. I plan to keep on reading the blogs I find inspiring and commenting when I have something meaningful to contribute. Gotta fill the TBR list and kee on top of what’s going on in YA and MG lit, y’know. Yet another reflection on my reading challenges of the past year. Looking back, I feel pretty satisfied with my reading accomplishments in 2016. This year, I upped my goal to 130 from 125 (my goal for 2014 and 15). I was able to surpass it, with a total of 137 books, just a few less than last year. I think I am going to stick with 130 again for 2017. If you want to see everything I read, here’s a link to My Year in Books, courtesy of Goodreads. I set out with good intentions to use these challenges to diversify my reading, and I lasted until about the summer before I stopped finding books to fit categories. I read 13 for Read Harder and seven for Panels. I guess these sorts of challenges are just not for me, so doubt I will try participating in 2017. This is a challenge just for me, to replace the Random Reads Challenge I did in 2015 that was not continued by the blogger who hosted it. I read 11 of the 12 books randomly chosen from my TBR list, and I only missed reading all 12 because one of the books is lost in the house somewhere, I can’t find it in a local library, and I’m not going to buy another copy. This challenge gave me the variety I was looking for, without having to follow someone else’s plan, so I will do it again for 2017. How did you do in meeting your reading goals and challenges this year? Horror is my favorite genre, but in the past I have not always taken time to indulge myself because of all the other reading I do for my professional responsibilities. 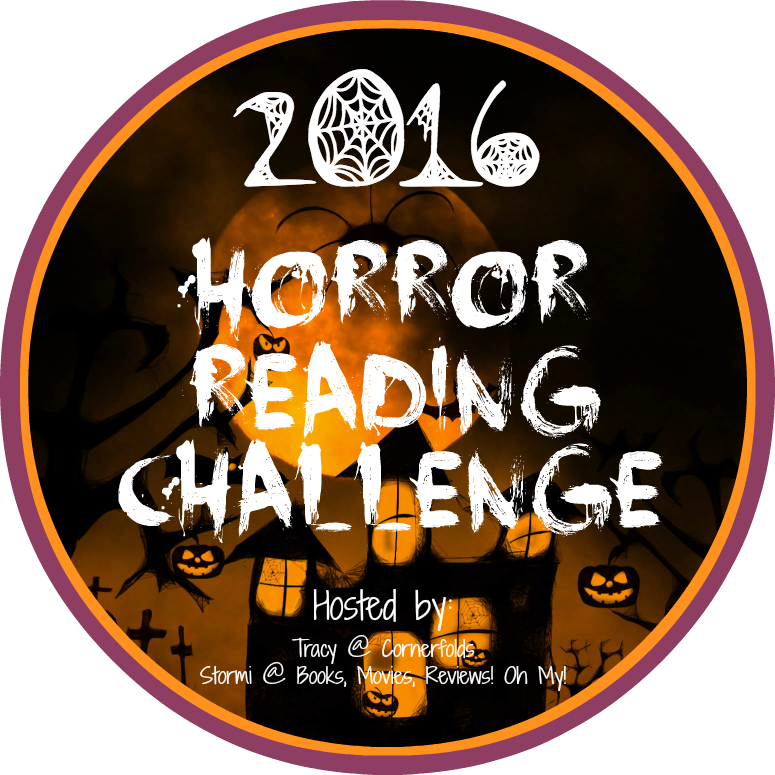 Thankfully, Tracy of Cornerfolds and Lilyn G. of Sci-Fi and Scary hosted the 2016 Horror Reading Challenge to keep me reading more of what I love most. Fans of Escape from Mr. Lemocello’s Library, Edgar Allen Poe, and the Book Crossing movement will love this book, and it will have lots of appeal to avid readers in general. When Emily has to move *again*, this time to San Francisco, she is happy to at least be in the same city as Garrison Griswold, creator of the Book Scavenger game she loves so well. Unfortunately, Griswold is on the eve of launching an exciting new challenge when he is brutally attacked in a subway station. Fortunately, Emily and her new friend and fellow puzzle-lover James find Griswold’s copy of The Gold-Bug, which was missed when police investigated the crime. The two embark on a quest to play what they believe was the new game and put themselves in peril as the bad guys are now after them. Filled with coded messages to break and the ups-and-downs of middle school family and friendship issues, this book is sure to engage middle schoolers. Bonus: I recently found out that, coincidentally, our local Betabrain team is designing this year’s challenge around this book.